The total initial minimum cost of real estate was estimated at 177, 186, 440 rubles (about 75 million UAH). 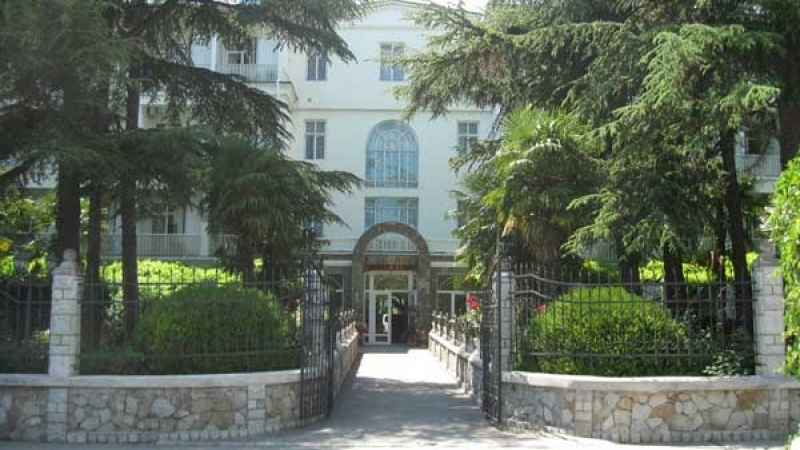 Kremlin-controlled Administrative Directorate of Property of the occupied Crimea will put up for sale recreation house "Massandra" in Yalta at an open auction, so-called Ministry of Property and Land Relations of the Crimea reports on the website. This resort was "nationalized" after the Russian occupation of the Crimea. According to media, Massandra belonged to businessman Igor Kolomoisky. Larisa Kulinich, the First Deputy of the Minister of Property and Land Relations in the occupied peninsula, reported about the planned auction. Kulinich said that this decision would come into force after its consideration and agreement by the so-called deputies at the session of the Crimean "State Council". The total initial minimum cost of the property is estimated at 177, 186, 440 rubles (about 75 million UAH - Ed.). The Russian "authorities" of the Crimea intend "to fulfill planned indicators of non-tax revenues" to the budget of the annexed peninsula for 2017 at the cost of sale of the resort. Earlier QHA reported that the State Duma at a meeting on July 19 in the third reading had adopted a law on the introduction of tourist fee in the occupied Crimea, as well as in the Krasnodar, Stavropol and Altai Territories. It is planned to test the law on the tourist fee from 2018 to 2022.